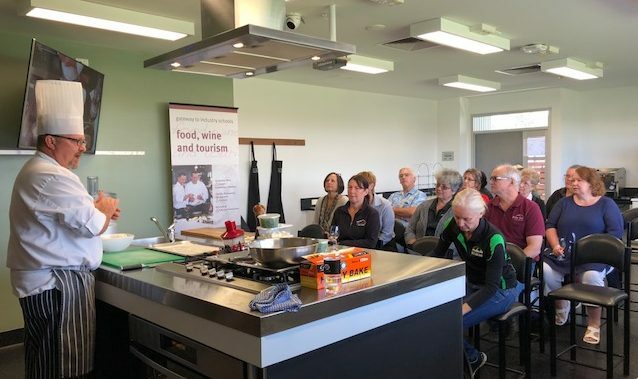 A new tour at Stanthorpe’s QCWT offers an exciting food and wine experience, set at this impressive education facility. Commencing with a guided tour of the college facilities, the tour proceeds to a cooking demonstration in the new display kitchen with a chef or apprentice chef, complete with a delicious tasting of the finished product at the end! The final part of the tour is a wine tasting, in the purpose built ‘Tastes of the Granite Belt’ room. Tours run Thursday to Sunday, commencing 10.30am. TIP: The tour concludes at the ideal time to experience a world class dining experience at the QCWT’s Varias Restaurant. View the menu.